On Monday evening I ran the Universal Sole Burgers and Beers 5k. As anyone who read my post this time last year know, it was the race I attained my goal time and PR’d like a MoFo. This year, I had no such goals in place, which I can only blame myself for not setting. However, every year is different – I am not in the same shape as I was last summer. The point is that I felt off. I got a stitch in my side and breathing sucked and had to walk THREE times. Needless to say, I did not have a great time, but it’s fine, because it was a new course and I had great company. There still just was something not quite right. I spoke with my coach the Thursday before about my race and he said he was going to come out and pace me for it. “Great!”, I thought, having him there often times makes me run faster so I was all for it! He never showed and didn’t call, but being so pre-race preoccupied, I thought nothing of it. Uriel is a very reliable person; if he says he’ll be somewhere he’ll be there. There’s just a 5% chance something comes up and he can’t make it. I just figured he couldn’t make it out and that I’d speak with him the next day to do our track workout and to tell him how I did. When I woke up the next morning, I had a text message from my coach. He said that he and his son had been shot. “Huh?”, was all I could register. His texting skills are not exactly on point, but I just couldn’t believe it. I asked if they were okay and the gravest reply came back; he was in the hospital in critical condition and his 16 year old son Adam had passed away. I was shocked and immediately started informing other friends and teammates, including Joel Feinberg, the owner of Universal Sole (the store we all run with and for). The entire team is just shocked. Uriel is a huge and very active member of the running community and has been in love with running since the age of 9. A couple of us visited Uriel in hospital and he still holds the same passion in his heart for running laying in the SICU, after losing his son as he would had this tragedy not happened. I met a few members of the Lara family last night and they are devastated, as one could imagine. Because Uriel means so much to so many, Universal Sole Running Store in Lakeview is holding a special fun run on Monday, July 21st at 6:30pm. They will be asking for $20 donations from runners and anyone who would like to attend and show support for Uriel and his family at this time. There will be Goose Island beer and raffles post-run. The first raffle ticket will be included with the $20 donation, but additional tickets will be available for $5 each. If anyone is unable to attend the event, donations can be made electronically at Indiegogo.com. We are also requesting help with those who can provide meals for Uriel once he is discharged from the hospital to help while he recovers. Please help us get the word out as much as possible! 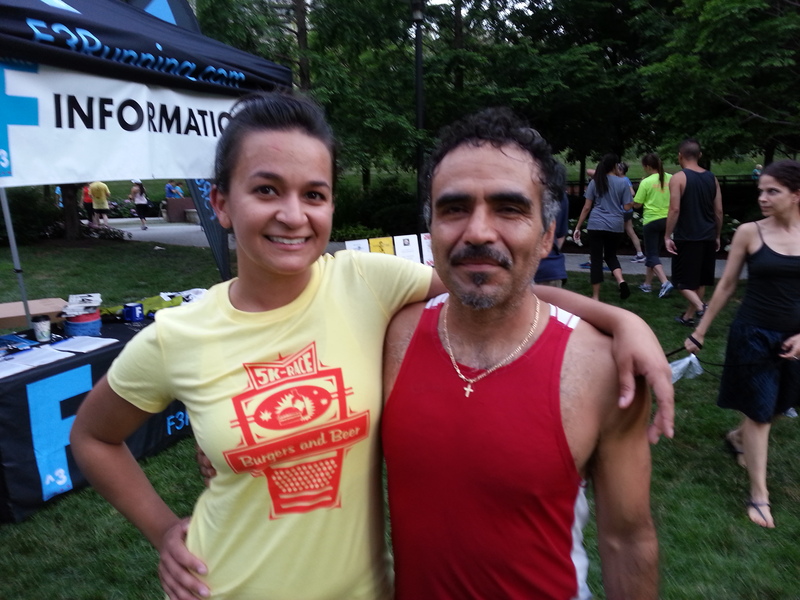 Uriel is a wonderful runner, but an even better friend and contributor to the community. Thank you all in advance for helping however you can!